If you’ve gotten here through Google, looking for the answer to the eternal question: ‘Is the Earth flat?’ Then you best keep on looking. Or at least give this review a read before clicking on the back button. You won’t get an answer to your original query, but there might be a world of information on the game ‘Shape of the World’ available on Steam developed by Hollow Tree Games in here. Maybe even enough for you to forget about the eternal doubt between the spherical or discus form of the world. Shape of the World is very strange when it comes to the story. There isn’t one, or at least it’s more vague than the story in Soulsborne games. If any developer wants to get notes on ‘Show don’t tell’ they should call Hollow Tree Games because this game is 100% show don’t tell. If showing was a poet, this game is definitely an Edgar Allen Poe, Lovecraft, or even a Shakespeare. There are no other characters, at least none that will give you an explanation. 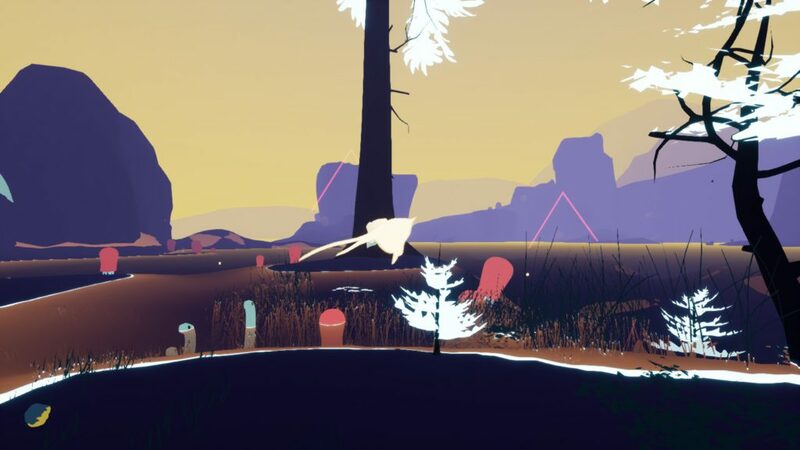 Which you’ll probably want and need seeing as the fauna burst into nothingness if you click on them and trees disintegrate when you interact with them. The whole journey is a trip down ‘WHATWHATWHAT-lane’ from start to finish. There is absolutely no written narrative. The lack of story is something that might turn off players that want things explained down to the nitty-gritty, but for those who stick around it’s a very interesting premise of continuing without getting the slightest hint of information. 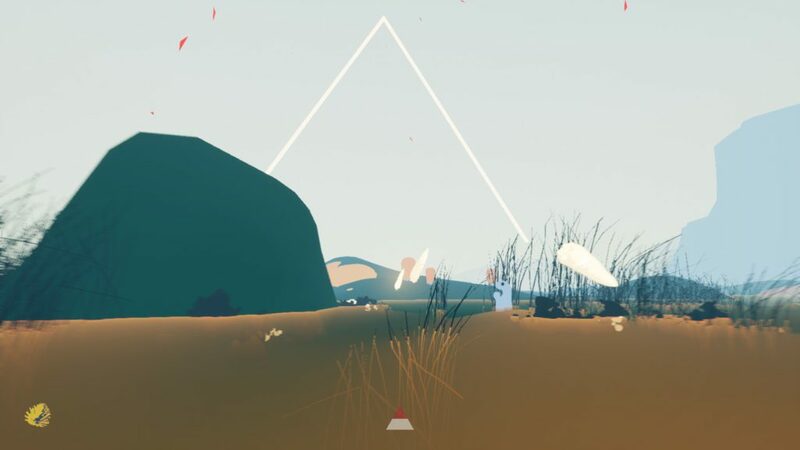 The game starts of very, very, veeeery minimalistic with you just traversing a grey meadow towards a white triangle. As you walk through things start to change. The world starts to gets more shape and things come into motion. Trees sprout and wildlife come into existence. As you continue your journey the world around you changes, very vividly, colours shift and more animals come into being. The aesthetic the developers used really are a part of the sit back and relax kind of video game that Shape of the World is going for. Details have been kept to a minimum, and it adds to the mystery. Making it so players continue to explore because they want to see what’s over the next hill or behind the next triangle gateway. 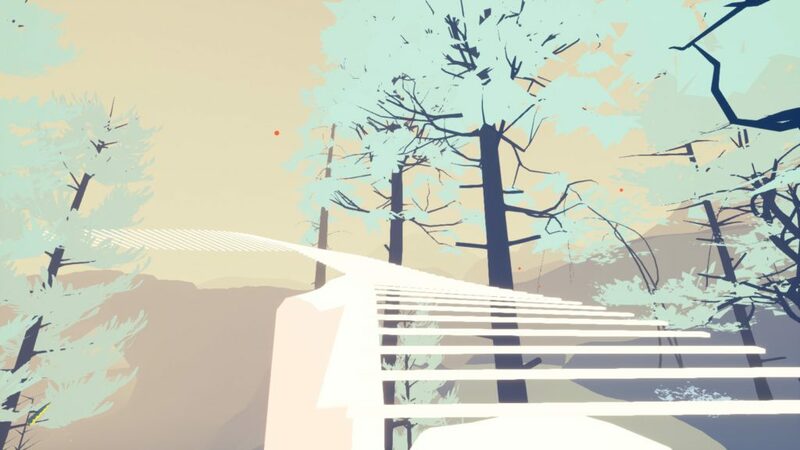 Shape of the World has already been mentioned as a soothing game. The soundtrack behind it supports that notion. You can just start up the game, jump into it, and sit back and listen to the tunes trickle from your speakers. The music isn’t the only thing that’s interesting about Shape of the World. There’s the sounds the animals make, their scuttling, the way they pop into the sky as you interact with them, the trees sprouting and disintegrating as you click on them. The sounds that reach your ears as stairs come into being. Every step a note, a tune coming into existence like a centipede on a piano. It’s beautiful, soothing and just fun to listen to, without even playing the game. 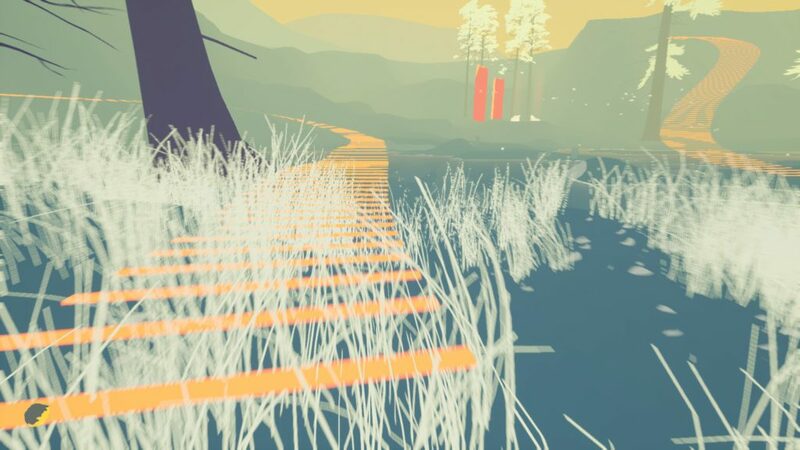 Shape of the world is an exploration game, a walking simulator if you will. You walk around and click on things to make stairs or pathways appear. Following these pathways will take you to other places with different vistas and other fauna. If you look around you can find seeds for you to use to plant trees. This doesn’t do a lot, but looks rather cool. If you don’t like trees and want less of them you can make them disappear. Getting to gateways is done by the W,A,S,D movement scheme. Spacebar lets you jump. Shape of the World is a rather short game, clocking out at about two hours, but then again Portal was only two hours long and that game was stellar. So the runtime might sound short, but having a short good game is better than a dragging tale. So your journey won’t take you days but you’ll be sure to see some interesting views.